Updated 1/31/19, A summary and highlights of Marauders in action and updates to Parent nights. 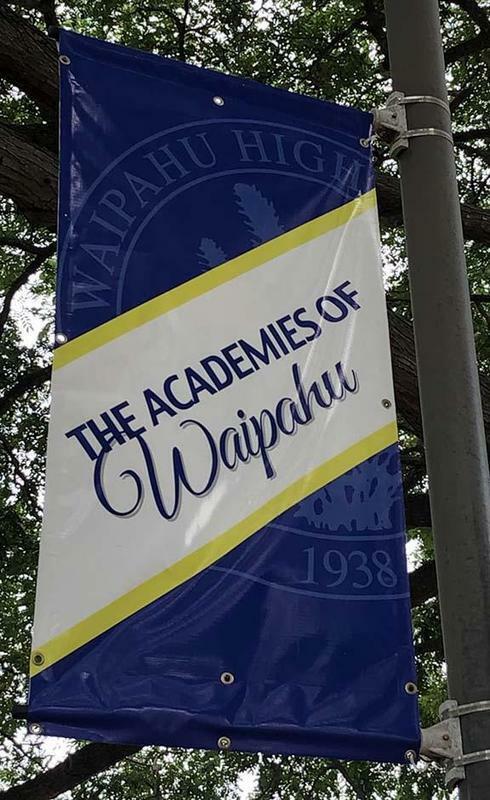 Congratulations to the Waipahu High Junior Varsity and Varsity Math teams for taking first place in their respective divisions at the 2019 Oahu Math League Meet IV at McKinley High School. The league consists of public and private schools, including several from the Big Island that compete remotely. The math teams currently ranks near the top of their divisions with several meets left in the year. GO Math Marauders!! The Boys Varsity Soccer team beat Aiea 1-0 on penalty kicks and placed third in the 2019 OIA Division II Championship. By winning their match, they earned a berth into the HHSAA Soccer Championships on February 7-9, 2019 at the Waipio Peninsula Soccer Complex. Come out and support our Marauders on their quest for a Soccer State Championship. Congratulations also to the JV Boys Soccer team for being crowned the 2019 OIA JV Boys Soccer Champions. Congratulations to Le9EN4s and The Block dance crews for repeating as champions in the 2019 Honozulu Beast Dance Competition held at Mckinley High School. Congratulations to the 2019 Cyber Patriot team for moving on to the semi-finals where they will be competing nationally against other Cyber Patriot teams for top honor in the Gold Division on February 1-3. The competition centers on a task where teams are given a set of virtual images that represent operating systems and are tasked with finding cybersecurity vulnerabilities within the images and hardening the system while maintaining critical services in a six hour period. Best of luck to our Cyber Team. Our Academy of Engineering Class of 2020 students are participating in this year's SSFM Tiny House Design Challenge and they have been given another opportunity to showcase their designs at the BIA Home and Remodeling Show from Friday, January 25th until Sunday, January 27th. The challenge this year is to not only have designs, but to also build a half-scaled life size model. Our Building & Construction and Electronics students are also participating by constructing the tiny house based upon the designs. Our students will be competing against other entries from Moanalua High, Mililani High and Honolulu Community College. Come to the BIA show to talk to our students about the design and construction of the tiny house. See you at the Blaisdell! CRASH 4: Apply for a Job, Thursday Feb. 28th, 2019 - CRASH Night 4 was originally scheduled for Thursday January 31st, but has been rescheduled to Thursday, February 28. Check-in will start at 5:00 pm and the program starts at 6:00 pm at the Cafeteria. To RSVP, please copy and paste this link on your browser and complete the form: http://bit.ly/crash4rsvp or have your child pick up a RSVP form from the front office. Family Night, Tuesday, Feb. 12th, 2019 - Waipahu High School will be hosting a Family Night. Please join us to learn about Internet safety tips; the impact of social media, bullying, vaping/e-cigarettes in teens' lives; and the Student CrimeStoppers program. Check-in will start at 5:00 pm and the program starts at 5:30 pm at the school's Library. To RSVP, please copy and paste this link on your browser and complete the form: http://bit.ly/CSnightrsvp or have your child pick up a RSVP form from the front office.